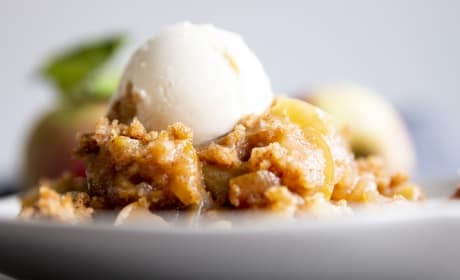 Crockpot Apple Cobbler is an easy and delicious dessert for cozy fall and winter nights. Serve it with a scoop of vanilla ice cream for an extra treat! 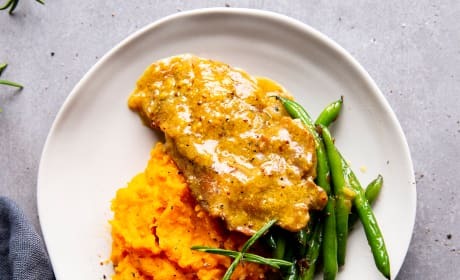 Instant Pot Honey Mustard Pork Chops are an easy dinner recipe that cooks up in a flash. They turn out so tender in the pressure cooker - the best! 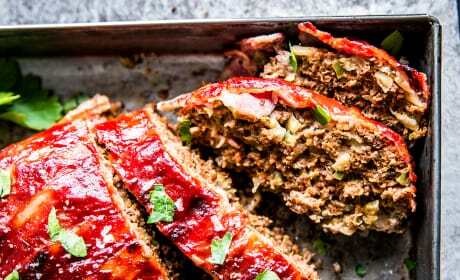 This Bacon Wrapped Meatloaf is pure comfort food! This classic dinner recipe gets upgraded with yummy flavors and a bacon wrapping - the best way to serve this traditional family meal! 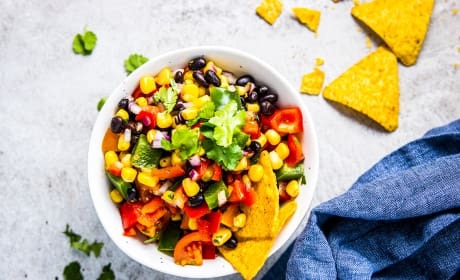 Black Bean Corn Salsa is an easy recipe you can whip up in no time at all. Use it as a side dish for summer BBQs, or as a dip to scoop with chips — it’s everyone’s favorite party food! Chicken Asparagus Pasta is an easy and delicious weeknight dinner the whole family will enjoy! 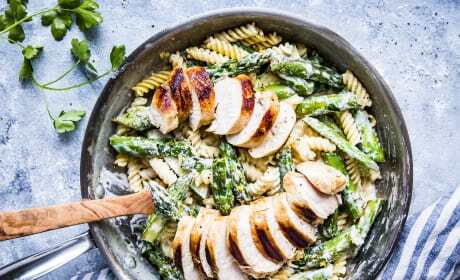 With the creamy lemon garlic parmesan sauce and the tender asparagus, it’s perfect for spring and early summer nights. 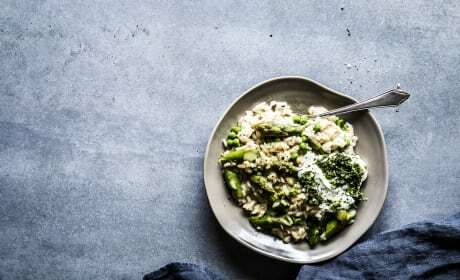 Lemon Asparagus Risotto is an inspired spring dinner you can whip up in one pot in less than an hour - perfect for entertaining, or as a special meal for the family. Try it this weekend - you won’t regret it! 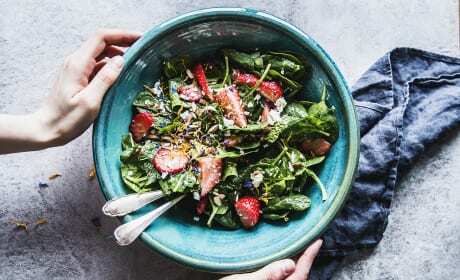 Strawberry Spinach Salad with Feta and Avocado is a fresh and delicious salad perfect for spring. It works great as a side, but also as a light lunch - put it on your meal plan next week! 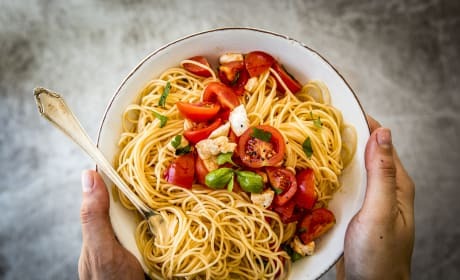 A 15 minute Caprese Pasta with tomatoes, mozzarella and basil - a delicious and super fast and easy weeknight dinner. Quickly sautéing onion and garlic in olive oil first adds so much more flavour than simply tossing everything with the hot pasta! 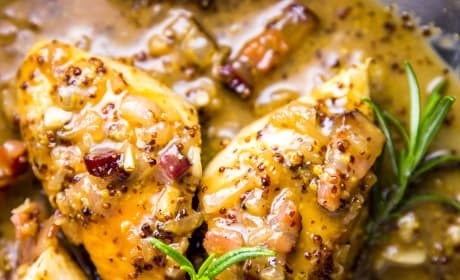 A delicious entrée, this Honey Mustard Chicken with Bacon is impressive enough for dinner party guests. Serve it with a starch and steamed greens for a wonderful meal! 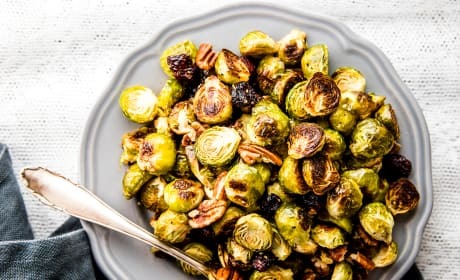 Make the most of seasonal produce this year and try these Cranberry Pecan Roasted Brussels Sprouts! They turn out crispy and tender and are full of flavour - the perfect side dish! 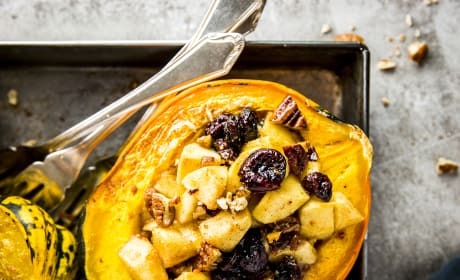 This sweet Cranberry Apple Stuffed Acorn Squash is the perfect harvest inspired side dish. The pecans make for a nice crunchy topping! 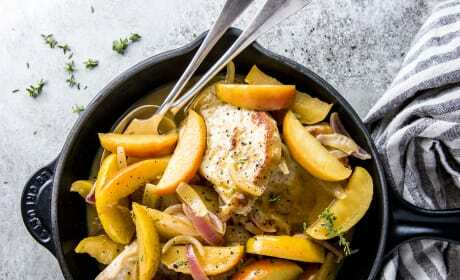 Filled with the flavors of fall and winter, these Maple Apple Pork Chops are a one skillet entrée that’s as easy to make as it is delicious to eat. Put it on your meal plan next week — it won’t disappoint! 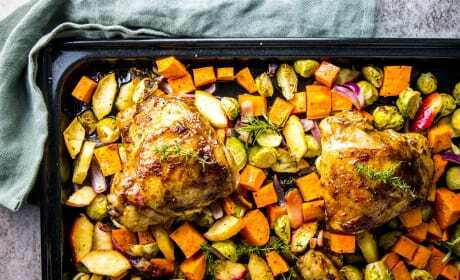 If you’re looking for an easy chicken recipe for dinner, try this Balsamic Glazed Chicken and Winter Vegetable Sheet Pan Dinner! It’s simple to make, healthy and will be a hit with the whole family. 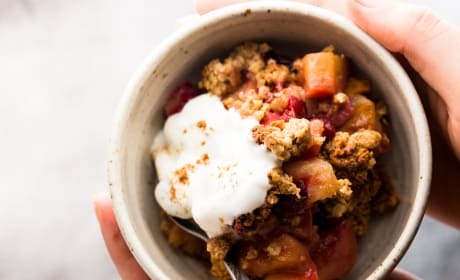 Warm up with a healthy cranberry apple crisp on a cold winter day: It’s easy to make with wholesome ingredients and tastes absolutely amazing! Need an easy yet fancy appetizer? 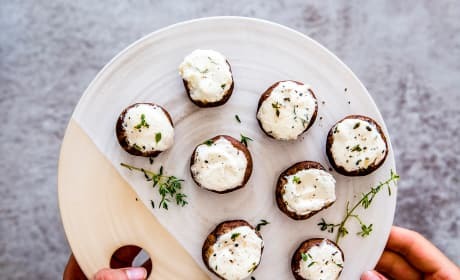 Try these Garlic Herb Goat Cheese Stuffed Mushrooms - you’ll be the star of any holiday party! 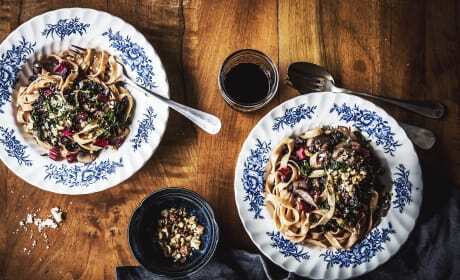 If you’re looking for a simple dish with some rustic elegance, try this Mushroom Swiss Chard Pasta! It’s filled with cozy flavours and looks so pretty with the colourful chard. 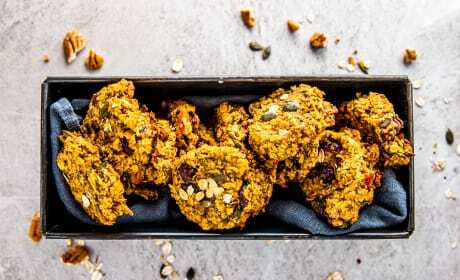 These pumpkin breakfast cookies are filled with so much goodness — yet they’re so easy to make! Add them to your meal prep routine this fall for some seasonal glow for the everyday. 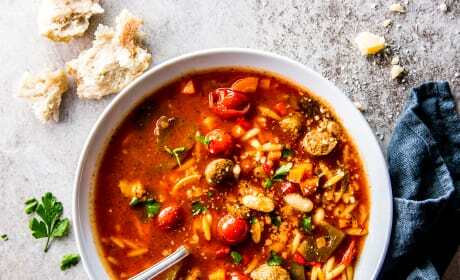 This Slow Cooker Tuscan White Bean Soup with Sausage is a warming meal on chilly days. It’s easy to put together and your crock pot does the work for you - perfect to have dinner waiting for you on busy weeknights! 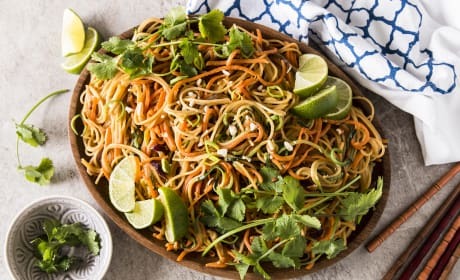 Thai peanut noodles with spiralized vegetables is a simple pasta dish filled with healthy vegetables. It’s on the table in less than 30 minutes, which makes it the perfect weeknight dinner! 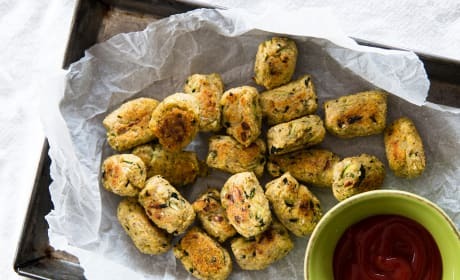 Zucchini tater tots are a great way to use up summer’s bounty. Make them with your kids for a fun and delicious activity together — they only have three main ingredients! 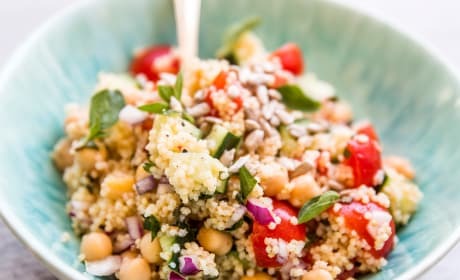 Mediterranean Chopped Chickpea Couscous Salad is the best BBQ side dish for summer parties. Quick and easy to make, refreshing and absolutely delicious! 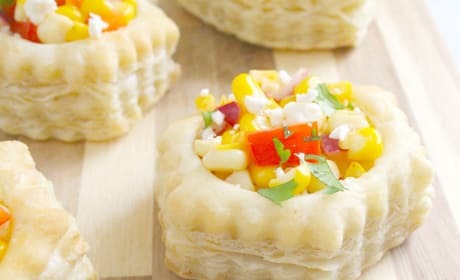 Mexican corn pastry cups are a great twist on summer corn! It’s so flavorful and easy to make. 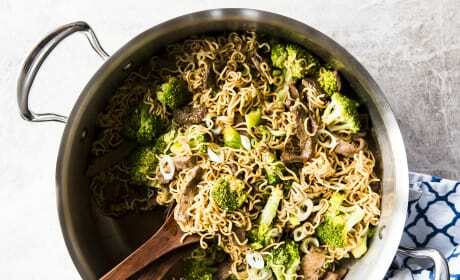 30 Minute Beef and Broccoli Ramen Skillet is an easy weeknight dinner. Make it for your family tonight! 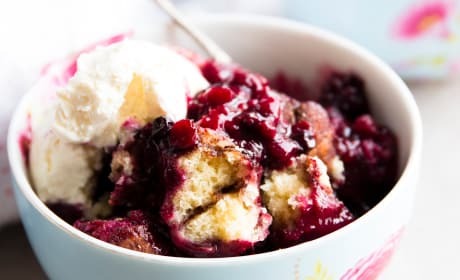 A simple summer dessert, this Slow Cooker Cinnamon Roll Berry Cobbler is guaranteed to be a crowd pleaser. Serve it with ice cream for a special treat!